Do you like authentic Mexican food?? Well we do & we love Jose Muldoons! For atleast 30 years Jose's has been a constant in downtown Colorado Springs. Now with much anticipation they are adding another restaurant on the east side of Colorado Springs. Jose Muldoons serves up Mexican favorites as well as burgers, sandwiches, salads & vegetarian fare. All dishes are prepared fresh daily using the best ingredients possible. My favorite is the Chicken Topolobampo which is chicken wrapped in a flour tortilla & smothered with green or red chile, chesse, guacamole & sour cream. YUM is all I can say! Even better - now they will have a new spot to enjoy their fabulous creations coming this fall! For more info: visit http://www.josemuldoons.com/ Home of the Guiness Book of Worlds Records "Largest Margarita"! Bank owned & ready for an offer. This 3 bedroom, 3 bathroom 2-story home is located in the wonderful Springs Ranch golfing community. The home is listed for $174,900 & offers a wonderful vaulted & open floor plan with lots of ceiling fans. The spacious formal living room is sunny & bright. The upper level loft could be family area or office. Enjoy relaxing on the custom stamped concrete patio in back. Close to parks & schools & only minutes to the best shopping, dining & entertainment. Call Jason Daniels & Associates at 719-268-8086 for all of your Real Estate needs in Colorado Springs. Colorado Springs has lots of fun happenings this October in celebration of Halloween 2010. 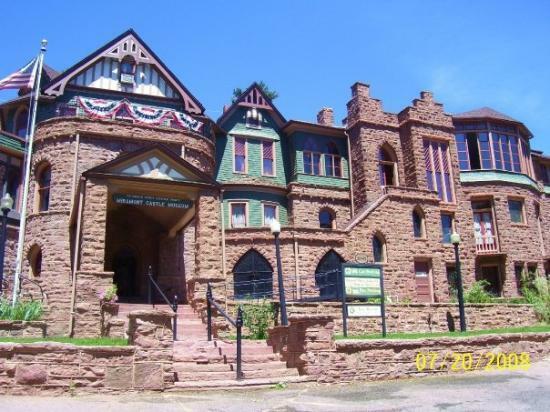 Take the family to see “Boo at the Zoo”, Manitou Springs coffin races & parade with a haunting wake the night before, haunted mines, or watch the wolves howl at the moon. All of those who dare will find fall excitement with any or all of these Halloween ventures. Now is the perfect time to buy your first home. There is an $8000 tax credit still available for SOME home buyers. Rocky Mountain High Colorado! This beautiful custom ranch home has it all & then some... Nestled on almost 1 acre in Black Forest this custom home offers premier living & easy access to Hwy 83 & I-25. Loaded with upgrades, the home features an open floor plan with attention paid to every detail. The gourmet kitchen offers beautiful Alder cabinets, granite countertops, center island and pantry. The master bedroom is spacious & has a wonderful 5 pc bathroom with large jetted soaking tub and huge walk in shower. Entertaining is easy in the fully finished walkout basement with full wet bar & wine cellar. Breathtaking view of the entire front range from the kitchen and covered deck. Relax on the private Italian style patio. Beautifully appointed, this home has all the custom qualities of a bigger, more expensive home. Call Jason Daniels & Associates at 719-268-8086 for all of your Real Estate needs in Colorado Springs. Paravicini's Italian Bistro offers affordable Italian dishes along with creative specialties. The name Paravicini means "for the neighborhood" and they have secured the neighborhood feel of an Italian Bistro. The prices are affordable, the portions are great, No obligations, just call Jason Daniels & Associates at 719-268-8086 to receive your coupon for a 4 COURSE dinner for two for $45.00 at Paravicini's & enjoy a nice Italian meal in Colorado Springs. Named "Best New Restaurant" by the Colorado Springs Gazette. If You Were Looking For A Spacious Home - You've Found It!